This Burr Arch truss bridge is built on a sandstone foundation. It was originally constructed in 1868. Unfortunately, arson destroyed the original bridge and a replica was built in 2006. 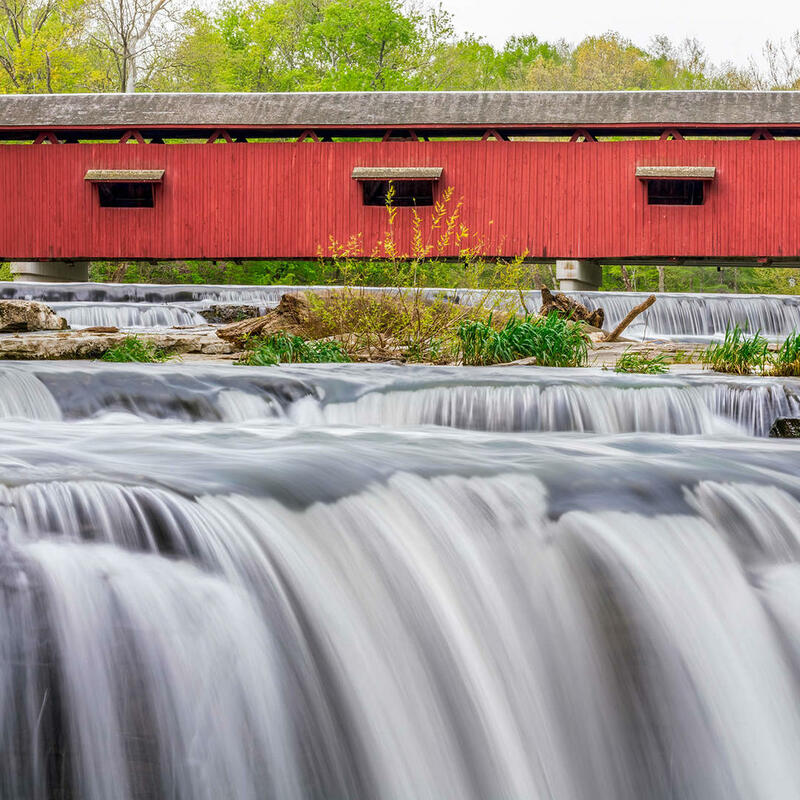 Located in an old mill town, the bridge is a charming fixture. There are a few shops that are open to visitors year round. Check the event calendar; there are festivals that take place during different months of the year.